Believer: The Monkees eventually became a real band. By T. Mike Childs' definition, Milli Vanilli were not a fake band. Milli Vanilli were a hoax, designed to fool the public, while a fake band's jig is up the moment they set their animated feet on an animated stage. Childs, a member of the sketch comedy group the Van Gogh Gos, is the man behind the impressively exhaustive website FakeBands.com and its companion book, The Rocklopedia Fakebandica, and he has to draw the line somewhere. So for his purposes, a fake band is from an American television show, movie or commercial. Period. The Muppet band Dr. Teeth and the Electric Mayhem count, as they are stars of screens small and silver. Haven Hamilton from Robert Altman's film Nashville, Krazee-Eyez Killah from the HBO series Curb Your Enthusiasm and the California Raisins of the Califonia Raisin Advisory Board's wildly popular 1986 claymation ad campaign all merit their own entries, too. Child's website is a savior for unfocused office workers, and The Rocklopedia Fakebandica makes ideal mindless bedtime reading. One discovers that The Simpsons, South Park and King of the Hill alone have spawned enough fake bands to populate a half-dozen fake Coachella festivals. The '70s and '80s brought us low-budget kiddie cartoons such as Jabberjaw, The Brady Kids and Jem!, shows that valued product tie-ins over such disposables as plot, melody and character development. So goes the world of fake bands. The absurd, the illogical, the obscure and the idiotic are all fair game, if not a requirement. The fake-band movement, should you choose to call it that, gained its greatest steam with the 1964 creation of the Monkees, a band that music snobs have deemed the guiltiest of fake bands for decades. They were manufactured, and therefore lacked any artistic worth because the motivation behind their existence was money, not art. But in pop music, the lines between art and commerce are crooked, dotted and blurry. Great songs that elicit true emotions in listeners can have devious, money-grubbing origins. And that's what is so great about fake bands. Isn't pop music all about illusions and fakery in the first place? Every real band is, to at least a microscopic degree, fake. Likewise, every fake band is somewhat real. They are in the strange position of not existing while their music undeniably does. Perhaps the best example is the Archies, whose 1969 No. 1 hit "Sugar, Sugar" remains ubiquitous. The Archies were a fake band inspired by the long-running comic-book series of the same name, and along with their big single, had a Saturday morning kids show. Today, those shows are lost in the dust, but "Sugar, Sugar" is still in regular rotation on oldies radio stations--all because it's a great song. The masterminds behind the Archies cash cow assembled a crack team of bubblegum talent to write and record the music, a factor missing in many fake-band equations. Gorillaz, the animated face of Blur frontman Damon Albarn's ever-changing supergroup/side project, is not a fake band by Childs' definition. And yes, Gorillaz have appeared on TV specials. But flesh-and-blood musicians behind the cartoon characters have profiles large enough to outsize the larger-than-life conceit. So while both the Archies and Gorillaz scored hit singles, Gorillaz come off as the more legitimate of the two, since Damon Albarn and Danger Mouse have established alter egos as real people with critical track records. All performers assume some kind of onstage persona; it's a necessary interface between their inner selves and their audience. A fake band, having no inner self, is nothing but interface. 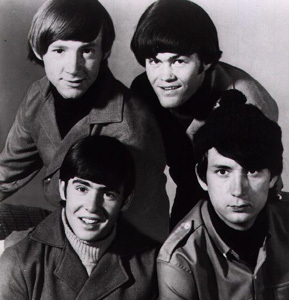 The Monkees eventually became the Frankenstein of fake bands; they rebelled against their creators, began writing their own songs and shaping their own image. In the process, they became a real band. This realization would never have happened if not for the fans (their TV show would have been cancelled), and fans are the key to making a fake band a real band. It's the Velveteen Rabbit cycle: the transformative effect of love and faith can breathe life into an inanimate object. If a fake band's songs are good enough, the alchemy happens. When "Big Bottom" comes blaring out a stereo's speakers, Spinal Tap is, for that moment, as real as they'll ever need to be. From the March 29-April 4, 2006 issue of the North Bay Bohemian. Copyright © 2006 Metro Publishing Inc. Maintained by Boulevards New Media.